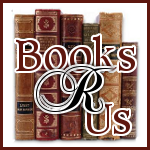 I want to welcome a great blogger to Books R Us. Tree is the owner of Mother of Pearl It Is. Please visit Tree's blogs and you may learn something new and interesting. Stop by every Monday for a new featured blogger of the week. I've been with the love of my life for 24 years... married for 15 of them. We have 5 beautiful biracial kiddos, a lovely DIL-to-be, and 2 precious (or is that precocious) granddaughters. We are very family-oriented, although slightly dysfunctional. :) I work outside the home part-time, and LOVE my computer. I'm also scheduled to have Gastric Sleeve surgery this Friday, and am looking forward to feeling good inside and out again. You can read about why I made this decision HERE (http://www.motherofpearlitis.net/2011/03/okay-im-doing-it-a-personal-post/). I actually started 9/2009, but got frustrated and stopped after a few months. Then got the bug again, and have been blogging steadily since 2/2010. I started doing reviews around that time too. MOPII is a mixture of our family's crazy antics, teenage dramas, the fun of being "young" grandparents, & a mish-mash of reviews and giveaways! Right now, I am on unemployment and getting ready to have my surgery, so most days I'm on throughout the day. When I'm working... I get right on as soon as I'm home. Then go back and forth in between doing chores, playing with the kids, watching tv, etc. I don't get around to reading as much as I used to, since I began doing reviews/giveaways. But, there are several that I love to read when I get time. I like to laugh, and these gals (and guy) always make me chuckle.